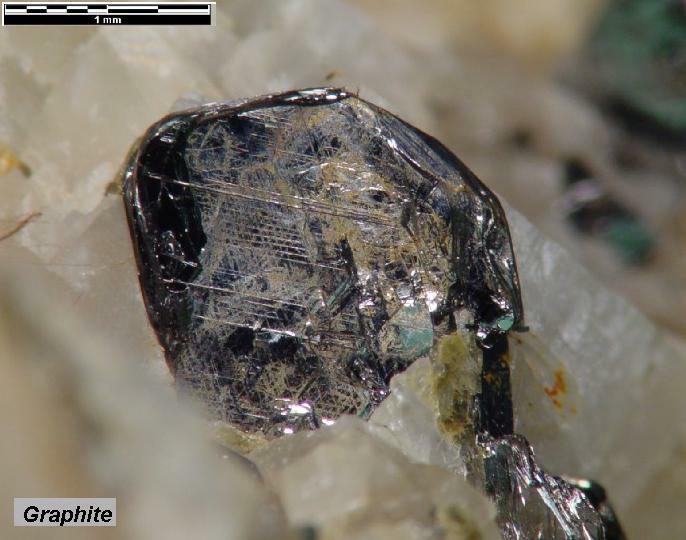 Comments: Black, sub-hexagonal crystal of graphite in calcite. Location: Lead Hill Mine, (near Ticonderoga), Essex Co., New York, USA. Scale: Crystal size 1 mm.